We’d love your help. Let us know what’s wrong with this preview of The Handbook for Lightning Strike Survivors by Michele Young-Stone. On a sunny day in Chapel Hill, North Carolina, eight-year-old Becca Burke was struck by lightning. No one believed her—not her philandering father or her drunk, love-sick mother—not even when her watch kept losing time and a spooky halo of light appeared overhead in photographs. Becca was struck again when she was sixteen. S When lightning strikes, lives are changed. To ask other readers questions about The Handbook for Lightning Strike Survivors, please sign up. I really don't know what to say about this book. My main comment would have to be that the publisher's blurb is completely useless. You keep waiting for the two main characters to meet and connect, but they don't until the book is nearly over and then it's anti-climatic. I felt a lot of sympathy for both Becca and Buckley and was cheering them on, but it came to nothing. The book totally fizzled by the end and I think the author kind of cheated with the "where they are now" epilogue for all the I really don't know what to say about this book. My main comment would have to be that the publisher's blurb is completely useless. You keep waiting for the two main characters to meet and connect, but they don't until the book is nearly over and then it's anti-climatic. I felt a lot of sympathy for both Becca and Buckley and was cheering them on, but it came to nothing. The book totally fizzled by the end and I think the author kind of cheated with the "where they are now" epilogue for all the characters, including minor ones. I did find the stuff about lightning strikes interesting and I loved the descriptions of Becca's paintings and her creative process. I really disliked the narrator for the audio book. She did a very poor job with the voices of children and men. (For a narrator who does children well, check out the guy who does The Irresistible Henry House. He does great children and women.) On the non-dialogue parts, she was so monotone. I was really torn between 2 and three stars because I think the narration negatively affected my reaction to the story. Simple put, this was quite wonderful! I never once felt like I was reading about 'characters.' These were definitely real people. And the way Ms. Young-Stone interweaves the voices is quite amazing. Sometimes the narrator is different from paragraph to paragraph and yet I was never confused or lost - on the contrary I felt like I was right there inside each person's mind. She does the transitions so seamlessly, I am in awe, and as a writer, envious. I literally didn't want to put the book down at Simple put, this was quite wonderful! I'm not sure how I found this one but glad I did! So raw and real and just good. It was easy to get confused at first as the different chapters skipped between characters and times. Once things got going it was a little easier to figure out and the characters started to have interactions with each other. I thought they would be more closely tied together though, it all seemed so random and accidental most of the time. “If you are a lightning strike survivor, understand that you are not alone.” When eight-year-old Becca Burke is struck by lightning in her driveway on a sunny day, that’s exactly how she feels. Her mother and father don’t even believe her, and only her grandmother sees that the hands on her watch are moving backward. It’s many years later, with another strike under her belt, when Becca reads that sentence from Buckley R. Pitank’s Handbook for Lightning Strike Survivors, and feels understood. Ho “If you are a lightning strike survivor, understand that you are not alone.” When eight-year-old Becca Burke is struck by lightning in her driveway on a sunny day, that’s exactly how she feels. Her mother and father don’t even believe her, and only her grandmother sees that the hands on her watch are moving backward. It’s many years later, with another strike under her belt, when Becca reads that sentence from Buckley R. Pitank’s Handbook for Lightning Strike Survivors, and feels understood. How Becca and Buckley are connected by lightning is at the heart of Michele Young-Stone’s striking debut novel, “The Handbook for Lightning Strike Survivors,” but they are surrounded by many unique and electrifying characters that expand the book into an attention-grabbing and complex tale. Young-Stone puts Becca and Buckley on parallel paths, several years apart, as their stories unfold. Becca dotes on her cheating father as her mother drinks away her pain. Buckley adores his mother who makes the ill-advised choice of marrying a sleazy tent revivalist. Becca’s artistic talents lean toward capturing the perfect lightning strike, as Buckley and his mother finally escape to the shores of Galveston. Becca is chasing after the wrong boy, while Buckley is facing survivor’s guilt. They each continue to battle their own demons, with and without the help of kindred spirits they meet along the way. When they do finally meet it’s no wonder thunderclouds gather overhead; it’s tender and touching, causing the reader’s skin to tingle and their hair to stand on end, a sure sign that something’s about to strike. But their contact only proves that, like lightning, life is full of random experiences and only fate has any control -- but it’s best to be prepared. Original review posted on Layers of Thought. One of my favorite books this year - it’s a sweet, funny, and heartbreaking novel with a metaphorical link to lightening. Shellie’s Blurb: Set in the 1980s in the Midwest and the Southern Eastern Coast of the US, this is a coming of age story of sorts with multiple characters experiencing their respective lives and their connection to lightning and its similarities to life. Buckley Pintak the main male character is a good boy even if Original review posted on Layers of Thought. Buckley Pintak the main male character is a good boy even if his life is far from perfect. Separately and interwoven with Buckley’s story we learn about Becka Burke, an artistic girl with flaming red hair, who at the age of eight is struck by lightening. She survives and it affects her in mildly paranormal ways. Interwoven in between their life experiences are tips about lightening, which as they become adults are key a key aspect for the story; it can strike at any time, particularly when one least expects it. Okay, so I loved this book. It was not what I expected, at all, but I still loved it. The Handbook for Lightning Strike Survivors is the story of two very different but but similar people (confusing, no?). Becca, a young girl who is struck by lightning and Buckley, a young boy who experiences the horrifying reality of lightning strikes as well. Both families these children grow up in are disjointed and horrible. I was depressed throughout the book because no one could ever seem to catch a break. Okay, so I loved this book. It was not what I expected, at all, but I still loved it. Both families these children grow up in are disjointed and horrible. I was depressed throughout the book because no one could ever seem to catch a break. But despite the depressing realities the book laid out, I never stopped to consider that there wasn't hope for both of these children. Each chapter begins with an excerpt from the fictional "Handbook for Lightning Strike Survivors". It isn't until half-way through the book that you realize who wrote it (although I had my suspicions, it's not hard to figure it out). The facts laid out are amusing and interesting. The author, Michele Young-Stone was actually a victim of a lightning strike herself. In the aftermaths of their separate encounters, Becca and Buckley do not get the support recommended by the author of the handbook, and in the same way sand is transformed, once struck by lightening, into an odd, amorphous sculpture which no longer looks or behaves like sand, Becca and Buckley limp through their childhoods, changed creatures of misfortune and loss. Healing comes in the form of art, love and justice. A satisfying epilogue tells us where the characters’ trajectories take them, and reminds us that the events in our lives, like lightening, are at once random, searingly painful, and illuminating. When I was a little kid at our cabin out on the wide open plains of SD, I saw lightning split a tree in half from 50 feet away. The force of the white light blew me off of my feet. It's been a difficult event to process. Reading this book makes me realize that I did in deed have something very profound happen to me. In this book, when lightning strikes, it can instantly kill or alter its victims. Each chapter heads off with a handbook style account given by survivors or facts to help survive a st When I was a little kid at our cabin out on the wide open plains of SD, I saw lightning split a tree in half from 50 feet away. The force of the white light blew me off of my feet. It's been a difficult event to process. Reading this book makes me realize that I did in deed have something very profound happen to me. I was lucky enough to hear Michele read a selection from this before I bought the book, which bumped it to the top of my to-read list. Handbook is an ambitious book, weaving in lots of people and places over several years, with two main plot threads running parallel tracks for much of the story. In the hands of a less-skilled writer, this could have been a train wreck. Fortunately, Michele keeps everything flowing as she weaves her tale, creating an engaging read. I had to stop midway through fo I was lucky enough to hear Michele read a selection from this before I bought the book, which bumped it to the top of my to-read list. Handbook is an ambitious book, weaving in lots of people and places over several years, with two main plot threads running parallel tracks for much of the story. In the hands of a less-skilled writer, this could have been a train wreck. Fortunately, Michele keeps everything flowing as she weaves her tale, creating an engaging read. I had to stop midway through for about a week because of real life scheduling issues, but as soon as I picked it up to finish, I was pulled back into this complex tale by the end of the first page. There are moments in life that startle you, make you cry, and experience the warmth of human relationships (even relationships with pets). Life, period. The "Handbook" offered each in a way I simply did not expect. Subtle, poignant, and sometimes brash story of unforgettable characters and their journey in this world. Not offering spoilers at all... never do. I will say that after I'd gotten to close to the second half of the book, I didn't put it down. I couldn't. I needed to know what was goin There are moments in life that startle you, make you cry, and experience the warmth of human relationships (even relationships with pets). Life, period. The "Handbook" offered each in a way I simply did not expect. Subtle, poignant, and sometimes brash story of unforgettable characters and their journey in this world. Not offering spoilers at all... never do. I will say that after I'd gotten to close to the second half of the book, I didn't put it down. I couldn't. I needed to know what was going to happen next. Love that! I was about 65% in yesterday and kept going until I fell asleep and picked it back up to finish within an hour or so. Simply beautiful... I even wept. This is the kind of story I recommend to anyone who needs another outlook on life, through the eyes of others trying to figure it out. Very enjoyable book, easy to read yet well-written. The author herself is a lightning strike survivor and that theme, the question of how and why one survives such a thing, is explored through the various characters lives. I'm glad I read this one. This book was fantastic. 'Nuff said. What an odd book! It was entertaining, but the entire book built up to a ending that then just kind of fizzled. I also had a hard time keeping the minor characters straight, they would be introduced then the storyline would shift and it would be chapters before they appeared on the page again. Certainly an interesting premise though. The Handbook for Lightning Strike Survivors is difficult to sum up in a review. It is (in the best possible way) a narrative as skittish as the lightning that propels it, flitting from character to character in unpredictable fashion. We never know where the narrative will land next. This lightning-esque storytelling might not work in some stories, but it is a more than fitting approach here. 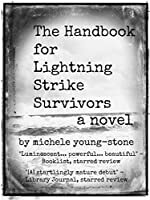 The story follows multiple characters, with an emphasis on lightning strike survivor Becca and lightning The Handbook for Lightning Strike Survivors is difficult to sum up in a review. It is (in the best possible way) a narrative as skittish as the lightning that propels it, flitting from character to character in unpredictable fashion. We never know where the narrative will land next. This lightning-esque storytelling might not work in some stories, but it is a more than fitting approach here. The story follows multiple characters, with an emphasis on lightning strike survivor Becca and lightning strike researcher Buckley. The novel explores the ramifications of lightning for its survivors (Becca and Buckley) and those who surround them. Between strikes, we witness the development and erosion of various relationships, including the crumbling marriage of Mary and Rowan (Becca's parents) and the touching courtship between Abigail (Buckley's mother) and Paddy John. There are those characters who court death with self-destructive behavior and those who continually dodge it. Particularly strong in this story is the character development -- Young-Stone takes her time progressing each character's narrative so that we are not shocked when they behave badly or otherwise fall short of our expectations. No deus ex machina developments, no cheap sleights of pen. Just good storytelling. One minor issue: I tend not to be a fan of epilogues that provide a quick blurb about each character's fate. This story is so densely populated that it would be difficult to provide closure for each storyline, but the four-page epilogue made the resolution feel somewhat rushed. That said, the story wraps up a lot of loose ends by the end of the last chapter. The Handbook for Lightning Strike Survivors is a powerful debut. I read Young-Stone's bio on Goodreads and was amazed to learn that she, too, is a lightning strike survivor. We are all encouraged to write what we know, and she has done a remarkable job of exploring a subject of personal significance while keeping a respectful distance from the narrative (in other words, not allowing her characters to become Mary Sues). This in itself is a remarkable achievement. I have to admit, I don't normally read books in this vein. Normally I like books with an angsty female protagonist set in magical alternate earths, but once in a while I'll have friends & coworkers suggesting books to me. This was one such book & I have to admit, I was surprised at how quickly I got into it. The tale follows two different people from slightly different times. Becca was struck by lightning as a child & ever since that fateful day she's been desperately trying to recapt I have to admit, I don't normally read books in this vein. Normally I like books with an angsty female protagonist set in magical alternate earths, but once in a while I'll have friends & coworkers suggesting books to me. This was one such book & I have to admit, I was surprised at how quickly I got into it. The tale follows two different people from slightly different times. Becca was struck by lightning as a child & ever since that fateful day she's been desperately trying to recapture that feeling on canvas. Meanwhile Buckley's had his own history with lightning, an event that's haunted him throughout his entire life. The pair go through their lives in the hopes of finding some sort of closure to their own experiences with lightning, all the while attempting to recapture that moment. This review has been hidden because it contains spoilers. To view it, click here. I definitely enjoyed this book. There are two main characters (Becca and Buckley) and the perspective of the book switches between them every chapter. At first this made the book confusing because I had trouble grasping which characters were part of which story. However, the secondary characters became easier to distinguish after understanding the roles they played in each of the main characters lives. In addition, I thoroughly enjoyed the "real life" accounts and lightning facts at the beginnin I definitely enjoyed this book. There are two main characters (Becca and Buckley) and the perspective of the book switches between them every chapter. At first this made the book confusing because I had trouble grasping which characters were part of which story. However, the secondary characters became easier to distinguish after understanding the roles they played in each of the main characters lives. In addition, I thoroughly enjoyed the "real life" accounts and lightning facts at the beginning of each chapter. What really sold me on this book is how personal it felt. I'm not sure if it was the author's intent to bring some sort of awareness to lightning strikes and its victims. However, I think that's what she achieved. A lightning strike survivor and in ways also a victim, her personal tribulations give the characters life and depth. Like Becca displaying her soul in her artwork, I think the author has brilliantly displayed parts of herself in this book. I liked how the book Buckley wrote was fittingly titled "The Handbook for Lightning Strike Survivors". The journeys of both Becca and Buckley were so driven by their experiences with lightning and the more I read about them, the more I wanted them to come together. As someone who did not know much about lightning before reading the book, I thought both Becca and Buckley were relatable. There was tragedy, betrayal, heart break, sadness and ultimately happiness. In the end it seemed like lightning sort of brought everyone together and through the devastation there was life because life goes on. I have been fascinated by the title of this book for quite awhile. Along with my interest in the title, the fact the author has been struck by lightning herself, helped push this book on to my to-read list. Becca and Buckley have both had their lives affected by lightning strikes. They seem to have a lot in common, enough that at times I had to stop and figure out whose life I was reading about. Young-Stone tells her tale by creating parallel stories and by playing a bit with time. Occasionally, I have been fascinated by the title of this book for quite awhile. Along with my interest in the title, the fact the author has been struck by lightning herself, helped push this book on to my to-read list. Becca and Buckley have both had their lives affected by lightning strikes. They seem to have a lot in common, enough that at times I had to stop and figure out whose life I was reading about. Young-Stone tells her tale by creating parallel stories and by playing a bit with time. Occasionally, I had to go back to the chapter headings so that I knew when the events in that chapter were happening. Along with Buckley and Becca's stories, there are anecdotes taken from The Handbook for Lightning Strike Survivors. Part of me imagined Young-Stone starting her book with these "true" incidents and then adding Becca and Buckley in as examples of the effects of lightning strikes. I am still thinking about the coincidences and serendipity that push the story lines forward. Part of me sees them as too contrived, but for the most part the story as a whole works well for me. Upheaval and tragedy are part of the lives in The Handbook and by the end, I was ready to believe that these characters were important to meet. Michele Young-Stone's delightful first novel, THE HANDBOOK FOR LIGHTNING STRIKE SURVIVORS, features a sizable cast of believable characters as they progress through several decades to 1995 while inhabiting a variety of locations: Mont Blanc, Arkansas; Chapel Hill, North Carolina; Galveston, Texas; and New York, New York. I found most of these characters to be good company most of the time, which is more than I can say for most people. Each brief chapter is followed by a page from the HANDBOOK FOR Michele Young-Stone's delightful first novel, THE HANDBOOK FOR LIGHTNING STRIKE SURVIVORS, features a sizable cast of believable characters as they progress through several decades to 1995 while inhabiting a variety of locations: Mont Blanc, Arkansas; Chapel Hill, North Carolina; Galveston, Texas; and New York, New York. I found most of these characters to be good company most of the time, which is more than I can say for most people. Each brief chapter is followed by a page from the HANDBOOK FOR LIGHTNING STRIKE SURVIVORS, which we learn was written by Buckley Pitank, a main character we've followed since he was eleven. These handbook pages relate life-saving facts and tips about lightning strikes and how to avoid them, as well as brief comments by people who've survived being struck. As you might expect from the novel's title, characters are struck by lightning during the course of the story, some several times. Some survive, some don't, but there's plenty else going on in these people's lives, so that each lightning incident strikes the reader as something of a shock, which of course is entirely appropriate. The first time I saw this book, I was stamping new books into my school library. I would always find covers and titles that would catch my eye and this one was just flashing "READ ME!". From that point on, I was sent on a journey following these two amazing, complicated people through their lives. One of he best parts of this book is that all the characters seem real. They live. They breathe. They cry. They feel joy. They dream. I can actually see these characters to be real people moving throug The first time I saw this book, I was stamping new books into my school library. I would always find covers and titles that would catch my eye and this one was just flashing "READ ME!". From that point on, I was sent on a journey following these two amazing, complicated people through their lives. One of he best parts of this book is that all the characters seem real. They live. They breathe. They cry. They feel joy. They dream. I can actually see these characters to be real people moving through their everyday lives. I kept hoping that it would improve, but no such luck. This is shallow, immature, gimmick-laden tripe. Very disappointing. Neither well written nor well told. Much of it was dull, and the pacing was terrible. Also, it was irritating to have the author arbitrarily break the 4th wall, over-explain EVERYTHING, and the "where are they now" at the end was a low cop out. The cast of characters was large and tritely sketched. Even the major characters felt one-dimensional, their inner lives poorly desc I kept hoping that it would improve, but no such luck. This is shallow, immature, gimmick-laden tripe. Very disappointing. Neither well written nor well told. Much of it was dull, and the pacing was terrible. Also, it was irritating to have the author arbitrarily break the 4th wall, over-explain EVERYTHING, and the "where are they now" at the end was a low cop out. The cast of characters was large and tritely sketched. Even the major characters felt one-dimensional, their inner lives poorly described, and it difficult to care about them. The dialogue was occasionally ridiculous - I wish I had the heart to go back and pull some, but I'd rather just delete this book from my Kindle and forget about it. Michele Young Stone is a real artist. The way she writes, the details about being haunted until you express it creatively...get it out of your body: soul in the paint. I'm keeping an eye out for more from this writer/artist. The only detail missing about being struck by lightening in my opinion is the after effects: the adrenaline pumping for hours afterwards, the awareness of life like I was actually awake for the first time in my life...until that energy grounded. I don't recommend running in Michele Young Stone is a real artist. The way she writes, the details about being haunted until you express it creatively...get it out of your body: soul in the paint. I'm keeping an eye out for more from this writer/artist. Phenomenal. Absolutely phenomenal. Michele Young-Stone is one of the most amazing and talented writers I've seen come along. She takes the lives of several characters and slowly weaves in and out of their tales. I cannot even begin to describe how beautifully written this novel is. She captivates the reader and constantly keeps them guessing until the end. This book is thought provoking, funny, sad, tragic, educational, and simply amazing. I can't wait to see what Michele Young-Stone will write Phenomenal. Absolutely phenomenal. Michele Young-Stone is one of the most amazing and talented writers I've seen come along. She takes the lives of several characters and slowly weaves in and out of their tales. I cannot even begin to describe how beautifully written this novel is. She captivates the reader and constantly keeps them guessing until the end. I started reading this and, while I liked Becca's storyline, I wasn't really feeling Buckley's. Then I accidentally left the book behind at the place where I ate lunch, and I guess that just about says it all. Michele Young-Stone is one of my newest favorite authors! Her books have heart and whimsy and see the gritty realities of life through an unexpected lens. 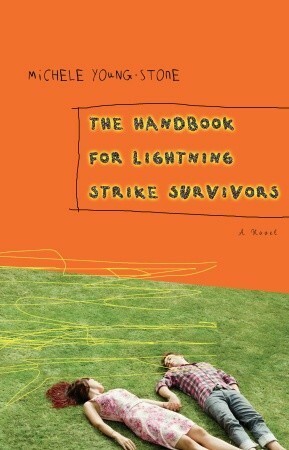 The Handbook for Lightning Strike Survivors is something we all need to navigate this world.